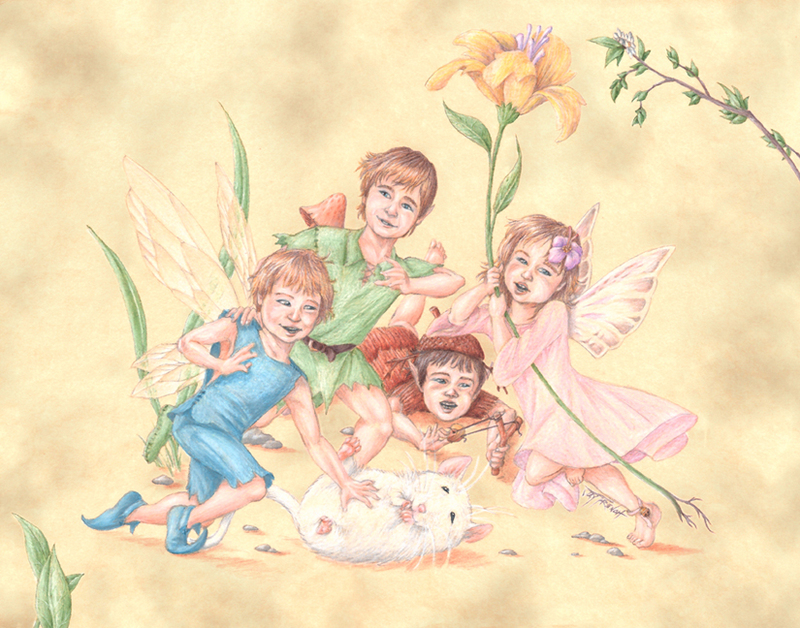 This was a fascinating Fantasy Portrait project for a British client who wanted his four children illustrated as faeries with reference to the style of famous faerie painter Arthur Rackham. The end result was something of a marriage of Rackham's style & my own! Photos of the subjects are below the image. !